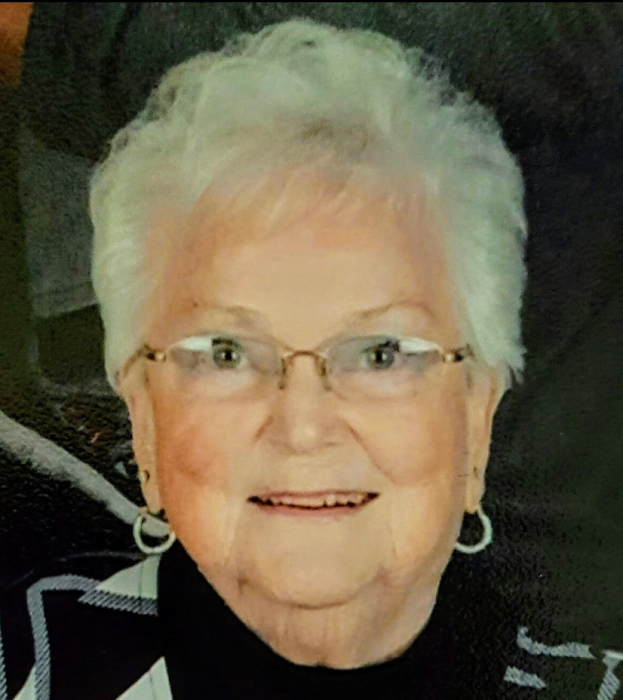 Martha W. Ealy, 83, of Galveston, was welcomed home in Heaven surrounded by her family at 12:02 p.m. Thursday, April 11, 2019 from St. Vincent Heart Center in Indianapolis. " I have fought the good fight, I have finished the race, I have kept the faith. " She was born May 23, 1935 in Logansport to Francis M. and Lola R. (Hutsell) Grandstaff. She married the love of her life, Joe Ealy on January 3, 1953 in Logansport, Indiana and he survives. Martha retired from Southeastern School Corp after serving more than 34 years at the Galveston Elementary School as the school secretary (1963 – 1997). She attended the Baptist Temple Church in Logansport from 1958 – 1961, where she accepted Jesus as her Lord and Savior and was baptized. She later joined the First Baptist Church in Galveston where she worshiped and praised the Lord for over 48 years. Martha enjoyed making special blankets for her family, playing cards and continued to be very active in her church. Martha always had a smile on her face and a kind word of advice, you could always count on her for a helping hand. Surviving family include her husband, Joe Ealy; daughters, Glenda (Jeff) Linkenhelt,; Rhonda (Brent) Blinn, all of Galveston and Teri (Gary) Schultz of Kokomo. Surviving grandchildren include Autumn Ray, Matt (Mandy) Ray, Austin (Stephanie) Schultz, Ashley (Tim) Keenan, Chad Jacko, Alec Ealy, Kristen Blinn-Beauchamp, Brandon Blinn, Kayla (Mike) Winger, and Nicole Shutt. Surviving great grandchildren, Ciara Ray, Elliott Tinsley, Elijah and Vincent Shutt, Athenia Ealy, Jaden Keenan, Steele Schultz, Ellie Beauchamp, and Brayson, Tylan , Amea Winger and many nieces and nephews. She is also survived by a sister, Margaret (Harry) Albaugh. She is preceded in death by her parents, son, Jeffrey Joe Ealy, brother, Edward Grandstaff, sister, Marialee Williams, four brother-in-law’s, BR Williams, Ronnie Ennis, William Yeakley, Harold Ealy and two sister-in-law’s Hazel Grandstaff and Jerri Shoman.